We invite you to explore our site, view our Weekly Bulletin, and look forward to personally welcoming you at our Chabad House where you will find inspiration and warmth. Founded in 1992/5752 under the guidance and blessing of the Lubavitcher Rebbe, Chabad Lubavitch of Riverdale nurtures and reinforces Jewish identity through spiritual outreach, adult education, childhood education, daycare and day camp programs, Sabbath and festival services and hospital visitation. As a community center, Chabad of Riverdale offers a warm embrace and the light of Torah and tradition to any Jew – adult or child – regardless of background, affiliation, or personal circumstances. By harnessing contemporary approaches to traditional values, Chabad empowers even the most alienated to connect to their roots and take pride in their Jewish heritage. Chabad of Riverdale's Kingsbridge branch serves a growing community of Russian speaking Jews with a broad range of programs, classes and services. Classes are offered in Hebrew, Chumash, and the Torah portion of the week. There is a monthly Oneg Shabbat with a fully catered dinner. All holidays are celebrated in a manner that makes them accessible to Russian speakers. The Kingsbridge branch also provides Bar Mitzvah classes, a Sunday morning beginner's davening, a tefillin and mezuza project, pastoral counseling, and a Yahrzeit program. This branch is run by Rabbi Yehuda & Bracha Balashov. Please contact them at 917-309-6797 for more information. Chabad of Riverdale's Einstein Medical Community functions as a home away from home for students of area universities and also provides classes, lectures, social events, women's clubs and Judaic enrichment for students, residents and professors. 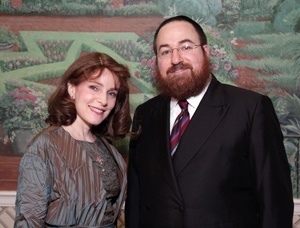 This branch is run by Rabbi Shneur Zalman & Tamar Teitelbaum. Please contact them at 718-887-0770 for more information, or check out the website, www.chabadmed.com. 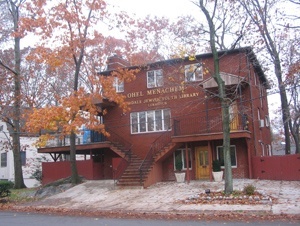 Chabad of Riverdale is one of 2,700 centers in 70 different countries. Chabad Lubavitch is a philosophy, a movement, and an organization. It is considered to be one of the most dynamic forces in Jewish life today. Lubavitch appropriately means “city of brotherly love.” The word “Chabad” is a Hebrew acronym for the three intellectual faculties of chochmah, wisdom, binah, comprehension and da’at, knowledge. The movement’s system of Jewish religious philosophy, the deepest dimension of G d’s Torah, teaches understanding and recognition of the Creator, the role and purpose of creation and the importance and unique mission of each creature. This philosophy guides a person to refine and govern his or her every act and feeling through wisdom, comprehension and knowledge. To learn more about the background behind Chabad, please click here. Feel free to call, write or email us here. 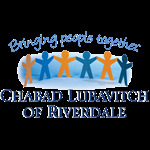 To receive more information about Chabad of Riverdale, click here.